﻿ Sabazan ruins and archeological findings on Carriacou. Sabazan ruins and archeological findings on Carriacou. This was the location for the largest estate house, now fallen to ruins. 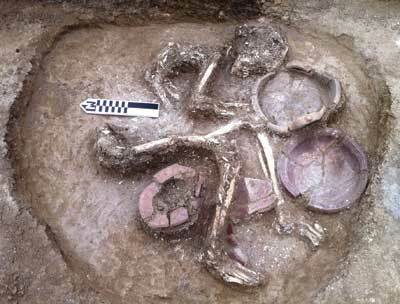 Important site for archeology with amerindian remains. Guides » The sabazan historical site. Location of this historical location on the map of Carriacou. Ruins at the Sabazan historical site. Old burial site on Carriacou. Sabazan was probably the most elaborate of the large estate houses on Carriacou. Constructed in the late 1700’s or early 1800’s the ruins contain an old well, six foundations, a tower looking towards the sea and an elaborate cistern system. The ruins reflect the history of agricultural development and the importance of water in Carriacou. It is a site of an important Amerindian settlement. Nearby, at Dumfries is an old Cotton gin, lime factory and French foundation. It is the home of some rare birds, e.g. the mangrove cuckoo. Some suggestions for protection and conservation. To protect the ruins, artifacts, birds; to design programs of educational research to further understand the historical development of Carriacou. To tie in Sabazan, Dumfries, and other protected areas into an around the Island tour for visitors and school groups. 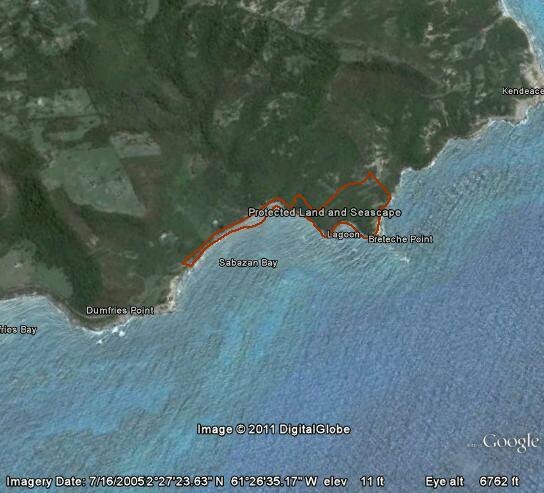 Sabazan protected area of Carriacou. 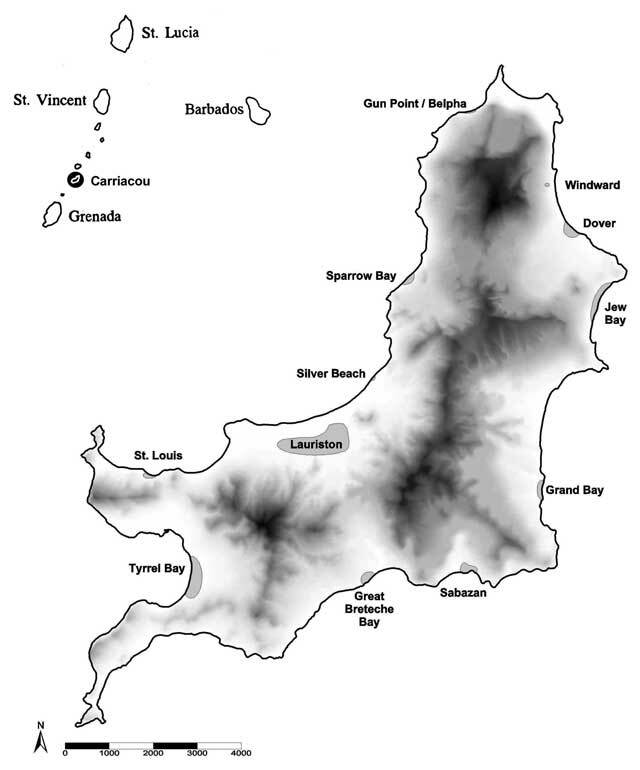 Map of the archeologial findings on Carriacou. Carriacou history and important historical locations. Read more about these historical sites.